The addition of comfortable flat ankle boots have made a huge difference to my winter wardrobe. Its opened up more options. Suddenly, I can wear my cropped chinos in the winter with a pair of wool socks to keep my ankles toasty. I didn’t wear my previous ankle boots as much because they were heeled or pointy. I often opted for ballet flats, which although more comfortable, then restricted me to tights and dresses, and I only have like 3 dresses I can wear to work. 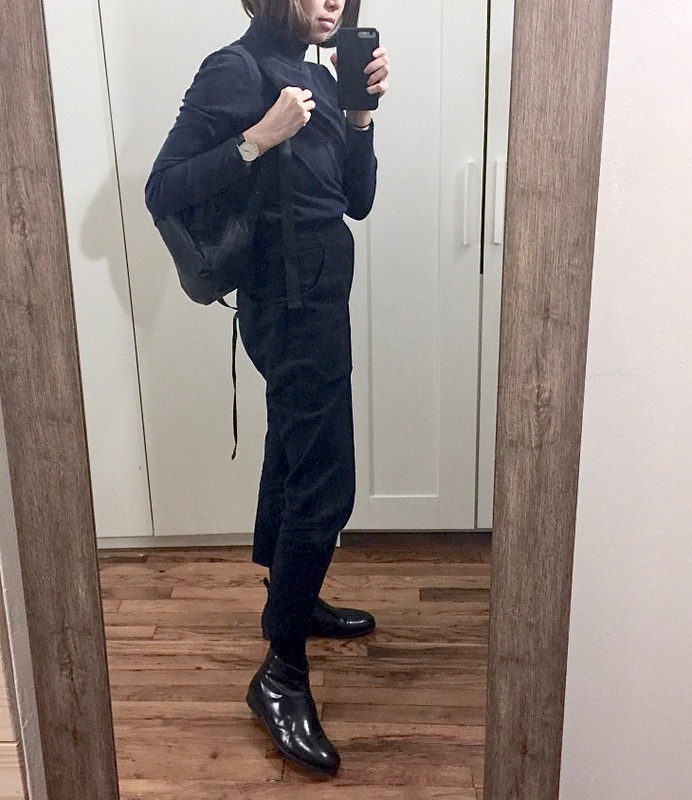 I wore this outfit to work today and felt great in it. My work setting is pretty cold, so I wore this vintage mock neck sweater over top and tucked in. Mock necks look smart and nice when you want something to hold your hair in place without tying it up. In unrelated news, I ordered some wood panels to start oil painting again. I’ve been thinking about some conceptual ideas inspired by what Everlane has done with transparency. Its been a while since I’ve painted because of time constraints but I want to get back to it. To make it more feasible time-wise, I’m not going to work on the type of paintings that take months to years to complete as I used to. I want to take a more minimalistic approach instead and try to get a painting done over the course of one month on weekends. I think that’s more in line with what’s going on inside my mind nowadays anyway. But back to getting dressed again. I’m also saving up for those Elizabeth Suzann’s tilda pants. 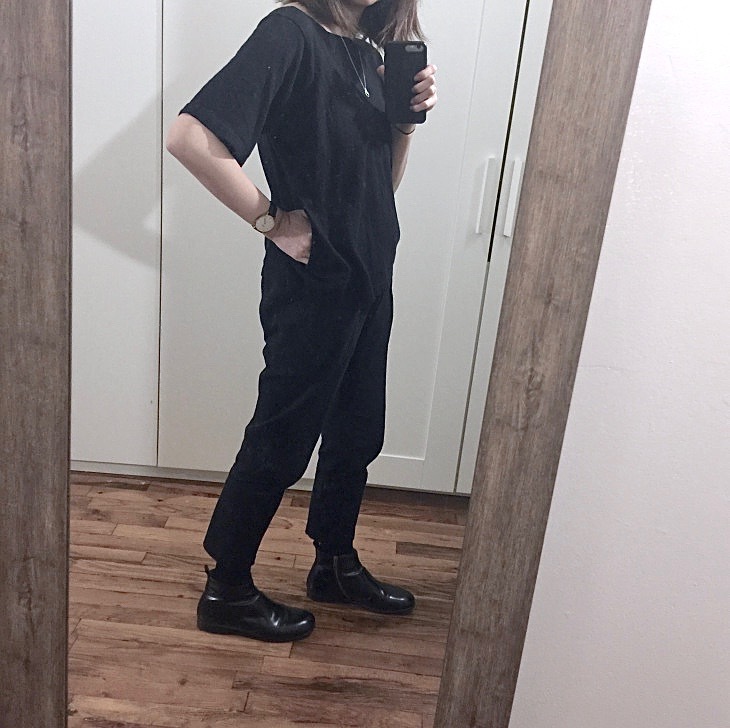 I feel nervous about buying pants without pockets but the silhouette is just so beautiful and according to an email response from an ES representative, the absence of pockets was intentional to allow for such a silhouette. They’re going to be such a dream to wear in the summer with sandals– can’t wait! I love the simplicity and practicality of this outfit. Is the sweater navy? Gorgeous. thank you Tania; yep it is navy blue.